This hour-long documentary tells a story about the creative life of the South Bronx, beginning with the Puerto Rican migration and the adoption of Cuban rhythms to create the New York Latin music sound; continuing with the fires that destroyed the neighborhood but not the creative spirit of its people; chronicling the rise of hip hop from the ashes and ending with reflections on the power of the neighborhood’s music to ensure the survival of several generations of its residents, and in the process, take the world’s pop culture by storm. Depicting two different styles of music that were nurtured in the neighborhood (mambo) and born there (hip hop), the film shows how members of this Bronx community, especially Puerto Ricans, influenced and were inspired by them. 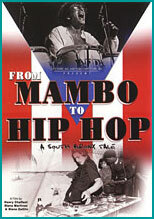 The film features the voices of community members who dance to this music, as well as the musicians who grew up in these Bronx neighborhoods and went onto achieve international fame including: Ray Barretto, Eddie Palmieri, Orlando Marín, Willie Colón, Bobby Sanabria, DJ Charlie Chase and Grandmaster Caz. 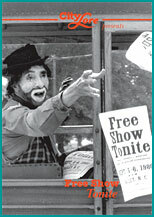 Take a rollicking journey through America’s past on a medicine show house car, with a motley crew of actual medicine show veterans who perform the songs, pitches, and comedy sketches that bring an era of American history to life. In 1981, the Smithsonian Institution gathered together the last survivors of this tradition and put on one last medicine show with Doc Fred Foster Bloodgood selling the miracle tonic just as he had done on a medicine show in the 1920s and 30′s. 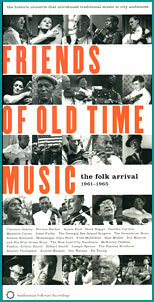 The film is a thoughtful, joyful introduction on the roots of American entertainment. This film brings the viewer into a Pakistani living room in Queens, New York, where Shenaz Hooda uses henna dye to paint intricate patterns and designs on the hands and feet of a bride-to-be, while the bride’s friends sing humorous wedding songs mocking her future in-laws. The film explores the exquisite mehendi body painting tradition as it is found in India and Pakistan and provides insight into new immigrant traditions. 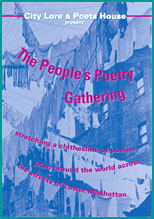 This film and CD explore the great themes of the People’s Poetry Gathering: the relationship of oral, written, and musical forms of poetry. Both feature traditional forms such as the Puerto Rican concorso de trovadores (a poetry contest) and literary poets such as Galway Kinnell and Sekou Sandiata, as well as new forms and formats, such as a Heavyweight Poetry Bout between Sherman Alexie and Patricia Smith and a teen slam. 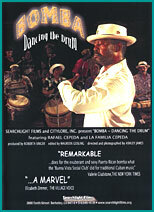 Bomba: Dancing the Drum chronicles the legendary Cepeda family, known as the “patriarch family” of bomba, Puerto Rico’s classic African-rooted music and dance. For nearly a century, the Cepedas have been in the forefront of the struggle to keep the bomba tradition alive in Puerto Rico. Don Rafael Cepeda, the 86 year-old patriarch of the family, learned the bomba from his grandfather and has passed it on to each of his 13 children, who in turn are passing it on to their children. Shot entirely in the streets and neighborhoods of Santuree, Puerto Rico. Bomba is a film saturated with the music and dance of Puerto Rico, but ultimately is a portrait of a remarkable family that has chosen to embrace the future with the strength of the past.